﻿ Will Ronaldo really end up at Old Trafford? 09.01.2018 » Will Ronaldo really end up at Old Trafford? You could say it's pretty much expected that Real Madrid's Cristiano Ronaldo will be linked with a move away from the Bernabéu every time a transfer window opens. Ronaldo has enjoyed another magnificent year in football, helping Real Madrid complete a remarkable treble as they won the La Liga title, the Champions League and the FIFA Club World Cup. Ronaldo also picked up the fifth Balon d’Or of a glittering career, but reports suggest he could be looking for a move away from Madrid; with Old Trafford a possible destination. 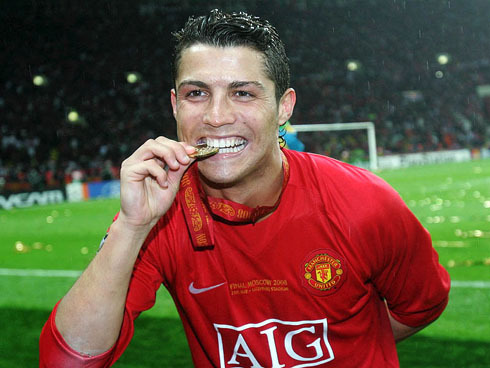 First of all, everyone should bear in mind that Ronaldo has been linked with a return to Manchester United for a number of years now, and every time he has remained at Real Madrid. This time however, reports suggest that the Portuguese superstar is no longer on speaking terms with Real Madrid president Florentino Perez due to a failure in delivering on a promise of a pay rise for the world's best footballer. The question is, if Ronaldo is set to leave the current Champions League holders, is Old Trafford a realistic destination? As things stand, Ronaldo has a release clause in his contract which would mean a club would have to offer £887m to push through a deal if Madrid are unwilling to sell. It's been reported that Ronaldo himself has insisted that his actual value should be around £89m, as this is a more realistic figure that sides such as Manchester United would likely be prepared to meet. In addition, there is another potential stumbling block if Manchester United were to try and make the move happen, and that's who they would be rivalling with in their hunt for Ronaldo. While Ronaldo does have an affinity with the club, United simply aren't the powerhouse of world football that they once were; and as things stand they still look a way off ever becoming one of the top European sides again. United could afford Ronaldo and they could meet his wage demands, but so could the likes of Paris Saint-Germain and they could potentially offer a better financial package as well as a more realistic chance of further glory. If reports are to be believed, contact has already been made by Ronaldo's representatives and in particular Jorge Mendes to potential suitors. This could stand United in good stead if they are to enter the chase for their former player, as United and Mendes have always enjoyed a good relationship. Not only that, but Jorge Mendes is also the agent of Manchester United manager José Mourinho, so you would think that if Ronaldo is on the move, they'll certainly be in with a shout of signing him. The real question though will be whether there is any truth to the reports as Ronaldo seems to be linked with a move as every transfer window opens. 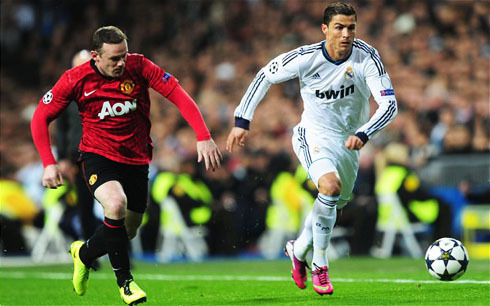 The Old Trafford faithful and football fans will be able to get the latest betting odds and news about Ronaldo at Betting.com. One thing is more or less a certainty, if indeed there is real desire by any club and Real Madrid don't wish to sell; the Spanish club knows it is very unlikely that the terms of the release clause will be met. The 32-year old signed his latest deal in 2016 and therefore, we suspect that he will stay at Madrid for the foreseeable future, probably ending his career there too. Cristiano Ronaldo next game for Real Madrid is on January 10 of 2018 against Numancia. You can watch Juventus live stream, Real Madrid vs Numancia, Barcelona vs Celta de Vigo, Man City vs Bristol City, Chelsea vs Arsenal, and Amiens vs Paris-Saint Germain, all matches provided from our sports and soccer game pages.